UK is about to hit a Christmas spending record in 2016! Christmas is getting closer! All year long, retailers, retail organizations, web-shops and supermarket chains have prepared themselves for, among others, Christmas! Meanwhile, stores and web-shops are filled with Christmas products! Gifts, food & drinks, decoration items and much more. There are several ways to expand your product range. One way is by visiting trade shows for import goods and promotional articles (stocklots). Here you will find large stocks of consumer goods available for immediate sale at rock-bottom prices! All kinds of buyers make their move at such fairs to expand their product range. An example of such a trade fair is the Eurotrade Fair. Eurotrade Fair is a unique platform that brings together Europe’s largest and leading stocklot wholesalers. Across Europe, consumers spend a lot of money on food & drink, decorations & gifts in the period before Christmas. 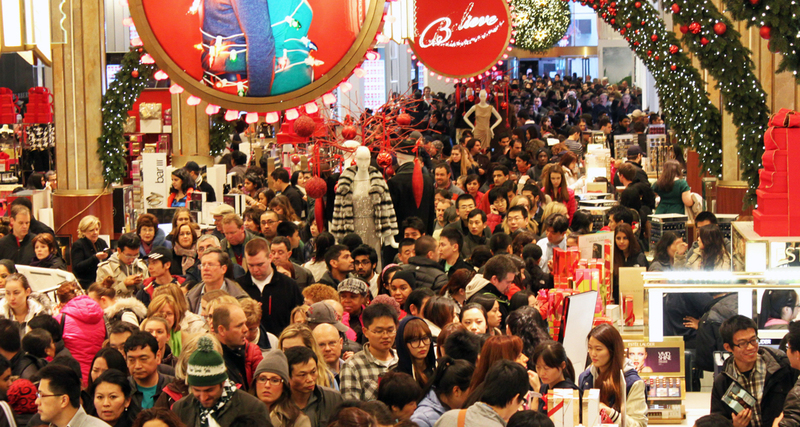 The UK outnumbers every other European country with their high average of Christmas spendings. Brexit or no Brexit, Christmas will always be a peak holiday for spending and this year is no different. UK is about to hit a Christmas spending record of more than €92bn in 2016. It is expected for 2016 that their Christmas spending will be around €952,55 per household. This will go towards food and drink, travel, decorations and gifts. Half of the budget will be spent on gifts! Although UK Christmas spending will only be up 1.9 per cent year-on-year, UK households are set to spend almost double the European average. Comparatively across Europe, the average spend will be €634,80 in 2016.